One of the chief suspects in the Real IRA bombing in Omagh has been arrested in a major security operation against republican dissidents. The veteran republican was detained along with 11 others in the Newry area, close to the border with the Irish Republic. The men, aged between 36 and 75, were arrested at a house in the Ardcane Park in Newry on Monday evening. 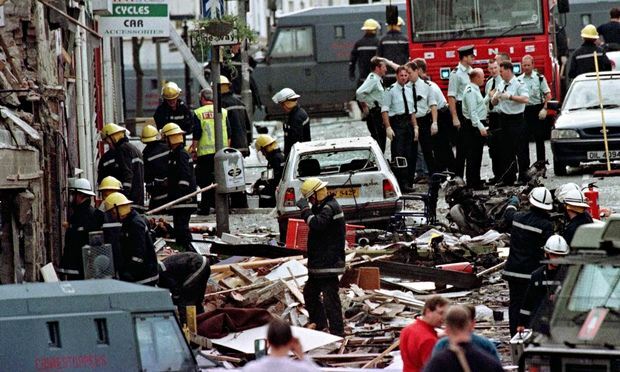 All 12, including the man police believe made the bomb that devastated Omagh in 1998, killing 29 people, are being questioned at the Police Service of Northern Ireland’s serious crime suite in Antrim. It is understood that all 12 detainees were attending a republican meeting when the PSNI swooped on the house on Monday night. Ex Continuity IRA chief Tommy Crossan was blasted to death in broad daylight on Friday evening. The dad-of-four was shot seven times including once in the head by a gang who strong-armed him into a fuel depot in West Belfast. Sources understand that prominent dissident republican Crossan was executed after he was accused by former colleagues of being a British agent and touting to the PSNI and MI5 about high-profile dissident republicans. A gang of three men in a red BMW car are believed to have carried out the killing. It was found burnt-out two streets away minutes after the shooting. The incident happened shortly before his daughter, Joanie, drove into the area to fill her car with diesel. One local resident said: “It is terrible for his wife and children but other than that there’s little sympathy for Tommy Crossan on this street. “You reap what you sow and he has been part of a wrecking ball in our community and now he is gone. A heavy police presence filtered into the Springfield Road area at 5.15pm after the shooting. Officers in a dozen police vehicles including members of the Tactical Support Group were at the scene and were on high alert. They helped escorted a cross-community group visiting the area moments after the shooting to safety. As the PSNI helicopter maintained a presence overhead a large group of family and friends, many of them weeping, gathered outside the building where Crossan had met his bloody end. Dozens of local children clambered around police vehicles demanding to know where the dead body was. Fr Tony Devlin, the parish priest of St Paul’s Catholic Church on the Falls Road, gave the last rites. Máirtín Ó Muilleoir @newbelfast: Shame on those who bring death to Belfast streets at Eastertide. They represent no-one but themselves and have no place in our great city. Crossan had been defying a death threat by rival dissident republicans since 2011. He received the threat from former comrades when masked gunmen accused him of being a British agent and ordered him to leave. They threatened: “Get out of Ireland or be killed." But Crossan told a Belfast newspaper: “I’m going nowhere. My conscience is clear. I’m no tout and never would be. It goes against everything I believe. Speaking from the scene SDLP Councillor Colin Keenan, who lives nearby this afternoon’s incident, said: “I condemn this murder completely and in doing so I reflect the view of all of the community. "There is a real sense of shock that this has happened. "I was on the scene shortly after this tragic event and I extend my heartfelt sympathy to the victim’s family. "We have long hoped that the shadow of death had been lifted from West Belfast. Forensic experts were quickly on the scene of the murder. Dissident republican suspects in the killing of one of their former commanders in Belfast are "dinosaurs trapped in the past", the city's Lord Mayor said. Ex-Continuity IRA (CIRA) figure Tommy Crossan, 43, was shot dead at a fuel depot in the grounds of an industrial complex in full view of surrounding houses. Three gunmen may have carried out the killing and a red BMW car was found on fire nearby. A priest attended to pray over the bloodied victim in West Belfast, an area long known as a republican heartland but which has been relatively peaceful in recent years following the end of the IRA campaign in 1998. Relatives gathered in tears at the scene, their devastation visible to onlookers. First citizen Mairtin O Muilleoir of Sinn Fein said the killers existed in the dark margins of society but could not slow the pace of change in Belfast. He claimed: "They are dinosaurs trapped in the past and I urge everyone to work with the police to remove them from our streets." Crossan was once the CIRA's Belfast leader but was believed to be the subject of a death threat and had been expelled from the group some years ago after a fall out. He served time in prison for conspiracy to murder Royal Ulster Constabulary (RUC) officers following a gun attack on a police station in West Belfast in 1998. The CIRA has opposed the peace process which largely ended three decades of violence and transformed Northern Ireland. Crossan was killed on the 16th anniversary of the Good Friday Agreement which mandated political power-sharing at Stormont. 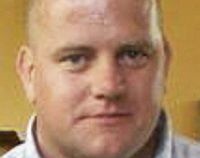 CIRA gunmen murdered Police Constable Stephen Carroll in Lurgan in Co Armagh in March 2009 but the organisation has since been riven with splits, security sources have suggested. Friday afternoon's attack happened at the Peter Pan Centre in Springfield Road, the Police Service of Northern Ireland (PSNI) said. Detectives have launched a murder investigation and are combing the scene for forensics clues. Mr O'Muilleoir told BBC Radio 4's The World Tonight: "There are some micro groups of criminals masquerading under an assortment of republican labels. They have no support within the community. "I wouldn't under any guise brand them 'professional' but they certainly are killers... They have nothing to offer to the people of Belfast." He said t here was a whole assortment of factions, and fractions of factions, of dissident republicanism and added every week produced another schism. "Sadly they clearly have access to guns and they have murderous intent and they are willing to kill those with whom they disagree." The largely-nationalist area of Belfast where the shooting happened is mainly comprised of tightly-packed terraced housing estates and businesses. Nationalist SDLP councillor Colin Keenan said it was a horrific scene. "Today's event is a terrible, tragic reminder of the violent conflict of the past." The Springfield Road, one of the main arterial routes, was closed to traffic. A PSNI spokeswoman said: "Detectives from Serious Crime Branch have launched a murder investigation after a man was shot dead in the Springfield Road area of West Belfast." Members of the security forces have been on high alert for attacks by various extremist factions who have also killed two soldiers and a prison officer. In recent weeks they have stepped up efforts to kill police officers, with several attacks on the force in West Belfast. After the murder of prison officer David Black on the M1 motorway in November 2012, police mounted an unprecedented surveillance operation against various factions as well making significant arrests. Sinn Fein Stormont Assembly Member Jennifer McCann said t hose behind Crossan's killing had no consideration for anyone in the community except themselves and their own criminal agenda. She added: "They have shot a man dead and endangered anyone in the immediate vicinity. "There is now a family in mourning and a community traumatised by this shooting. "It will not go unnoticed that, with sadness, at Easter time as republicans gather to commemorate their patriot dead, that there are criminals on the streets masquerading as republicans for their own ends. "This community does not want them. They need to listen to this community, stop these senseless actions and go away." David Ford, Northern Ireland's justice minister, said the murder should be condemned by all.